An East Texas native, Dr. Mauldin attended Longview High School and Baylor University, then completed medical school and residency at Baylor College of Medicine. 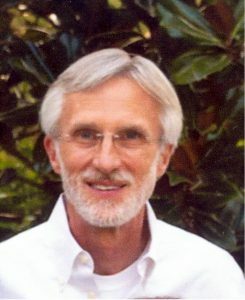 Board certified in obstetrics and gynecology, he has served as president of the Medical Staff at Good Shepherd Medical Center, president of the Board of Christian Heritage School, and has been a member of the LeTourneau University Board of Trustees during his 30 years practicing in Longview. Dr. Mauldin and his wife Maureen have been married 33 years and have five children and three grandchildren. They are active members of One Hope Presbyterian Church. As a specialist in the healthcare of women, Dr. Mauldin’s practice encompasses gynecologic medical care and surgery including laparoscopic procedures and Novasure endometrial ablation, as well as total pregnancy care. A constant advocate of exercise and nutrition as it relates to health and wellness, Dr. Mauldin also stresses nutrition during pregnancy for the life-long benefit of mother and baby. A growing part of his regular office practice is the prescription of compounded hormone therapy for the treatment of menopause-related problems and improved quality of life.